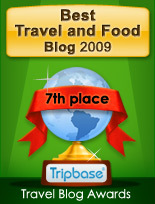 Enjoy - Food & Travel: A gift to eat? Why not! Wonder whether your friend have a certain book, or has a kitchen full of gadgets that are never used? Buying a gift for someone like me, over 40, that has everything and certainly not needs more is such a pain. Here is a good idea for you. Buy a box full of goodies to the food lover, or a good wine! I love edible gifts! 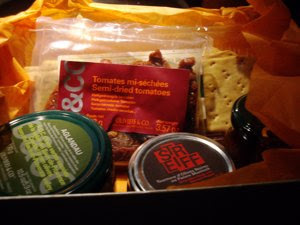 I had my former colleagues at the Norwegian Food Safety Authority for a tapas meal last Friday, and they knew what to buy for a hungry man - a gift packet from Oliviers & Co, shops selling olive oils and Mediterranean specialties. 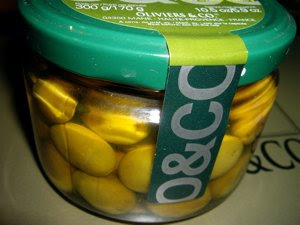 You are easily trapped at Oliviers & Co, as you wonder among delicacies within your reach. 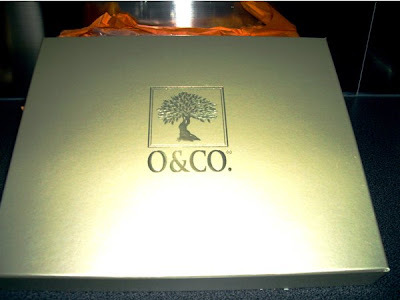 Shops as Oliviers & Co have ready-made gift packets or they are happy to make a gift box just for you, so here may be a solution for those of you in need of a good idea for a present. What was in my gift box? Here are the exclusive ingredients? Sun dried tomatoes is a great ingredient with many uses. You can make red pesto, you can mix these tomatoes that have an intense concentrated flavor, are delicious in tomato sauces. These tomatoes are semi-dried, i.e. they are also easier to eat as they are, as a snack. Then soak them in olive oil or as a garnish on cold food. The fully dried tomatoes are harder and some of them contain too much salt to be eaten as they are. 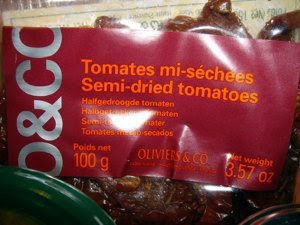 The tomatoes are produced in Tunisia for Oliviers & Co. These French Olives are no ordinary olives. No, they have their own Appellation Controllé. This guarantees that they come from nowhere else, than this, for me totally unknown French valley, but it works for the French. These controlled designations are particularly successful in French wine productions. So, it will be interesting to compare to these olives to their Greek, Italian or Spanish cousins. "Hand-Picked Muntock White Peppercorn is grown in the hills behind the village of Muntock, on the Indonesian island of Bangka. Pepper farmers climb traditional bamboo tripods and hand pick fruit spikes of red pepper berries." Interesting! I need to do some research on how to use it. 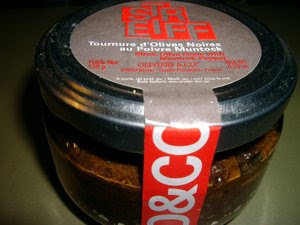 In this smart little jar with O & Co logo visible, you find a tapenade. I have no admit that I have not used tapenade before, but my immediate idea is to use this paste on toast with garlic and olive oil. 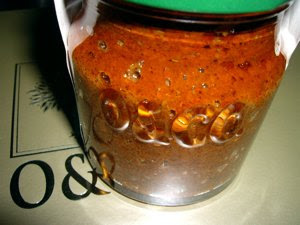 The combination of olives and tomatoes is also perfect in a rich tomato sauce, so this is another possible use. Here is another new, and for me unknown, Italian Specialty. 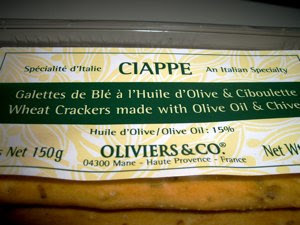 Wheat crackers with 15% olive oil and chives. 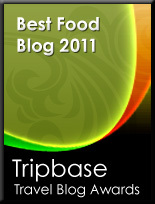 Enjoyed with some cheese, or maybe with some of the tapenade with olives and tomatoes. And with a generous glass of red wine. To be saved for romantic occasion, or a good selection of cheese after a good meal. 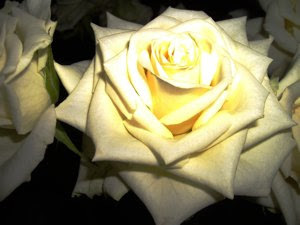 In addition to the edible gift, I got a bouquet of beautiful white roses. I would like to thank my former colleagues for the great gift that will be enjoyed, little by little.